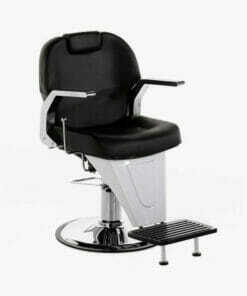 Traditionally designed barbers chair, made with a comfortable hard wearing black upholstery. 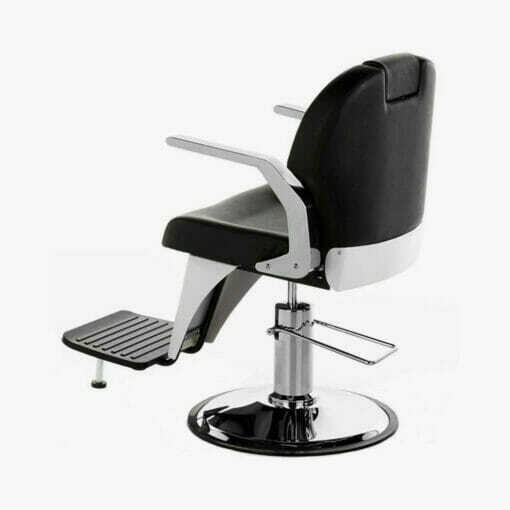 Traditionally designed barbers chair, made with a comfortable hard wearing black upholstery and fitted with stylish chrome armrests. 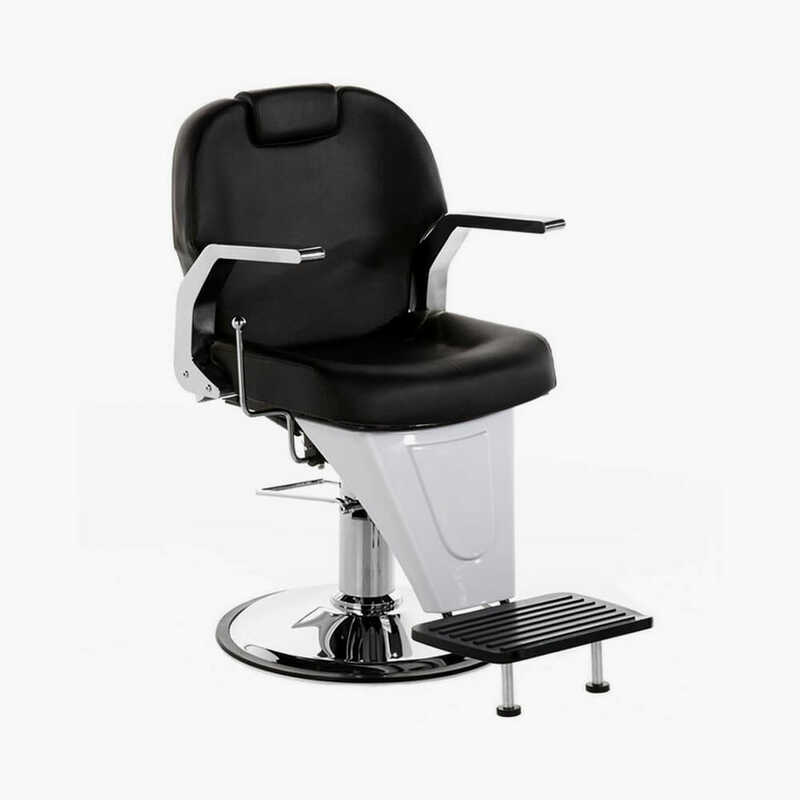 The Hawk Barbers Chair fully reclines for extra customer comfort and comes complete with a built in footrest and locking hydraulic. A heavy round polished chrome base supports the chair completing its classic look. Seat Height 570 mm – 700 mm.